Recently, Sinco-CNC has introduced its new collection of CNC steel products to the clients worldwide. According to the CEO of the business, they hope to help its customers around the world to find the smartest and most economical way to get all kinds of high quality CNC lathe products. Sinco-CNC.com’s CNC products include PEEK products, aluminum products, steel products and more. The company’s precision fabrication equipments can be used to perform different CNC machining processes, including, but not limited to forming, CNC milling and turning, rolling, curving, welding, bending and more. Sinco-CNC.com’s products have recently won many positive online reviews, which can alter the face of a business today. 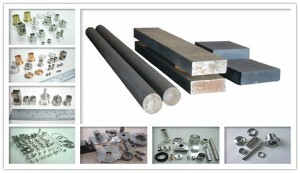 Now, various designs of CNC steel products feature the website of Sinco-CNC.com. The company is ready to provide custom precision steel products for customers at affordable prices. In addition, Sinco-CNC.com has announced it will attend the CES 2014 to showcase its new designs of CNC products, so that we can expand its international market share in a short time. More details will be announced the marketing department of the company.